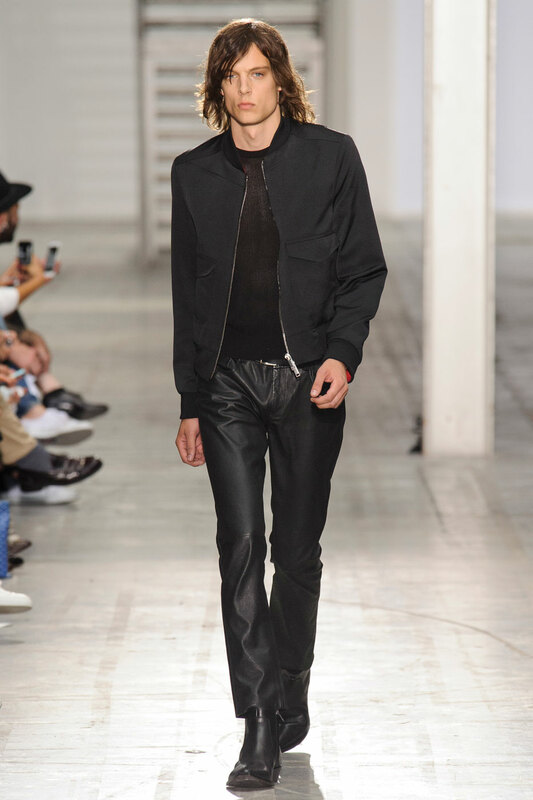 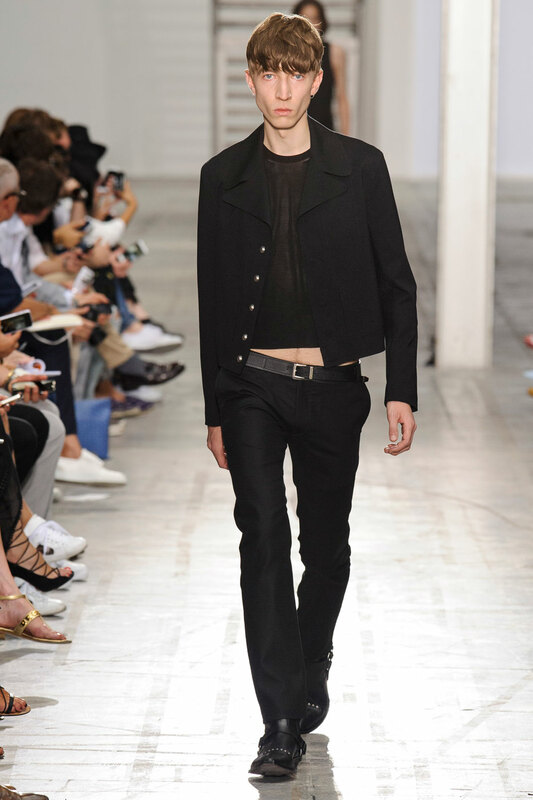 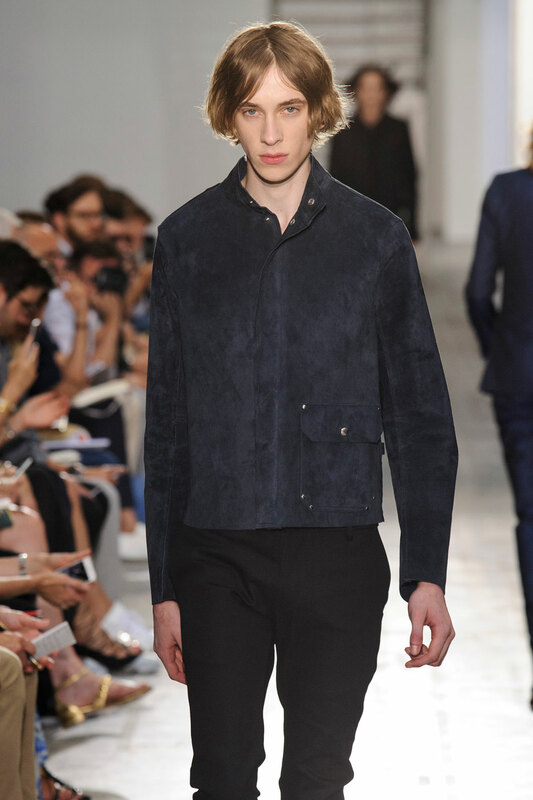 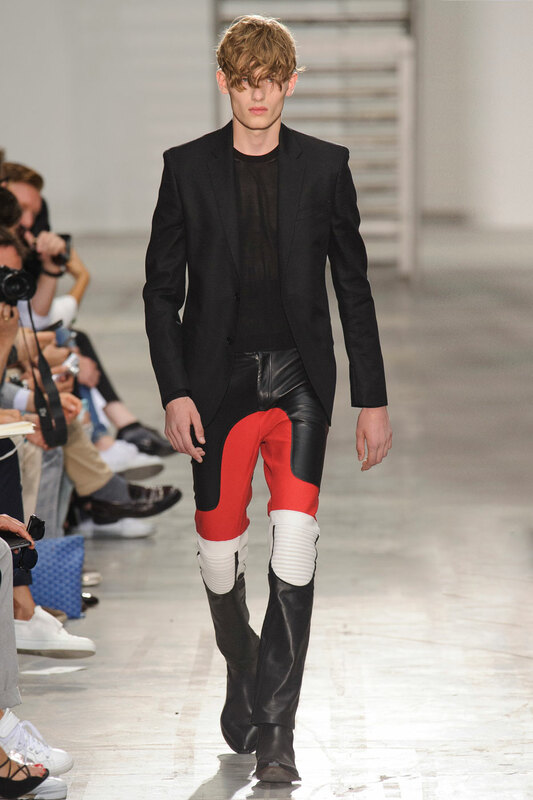 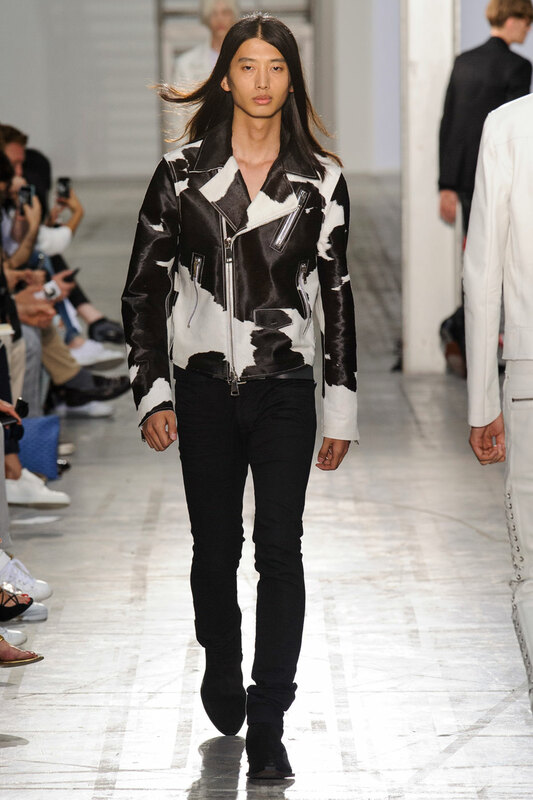 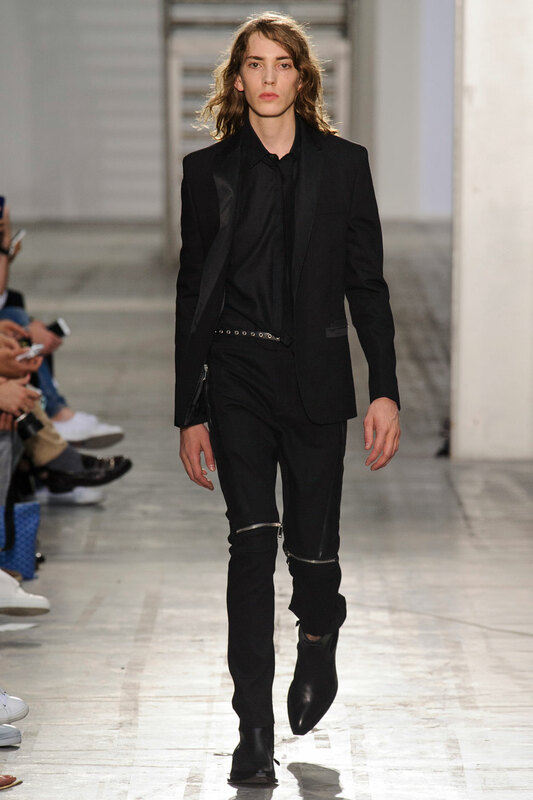 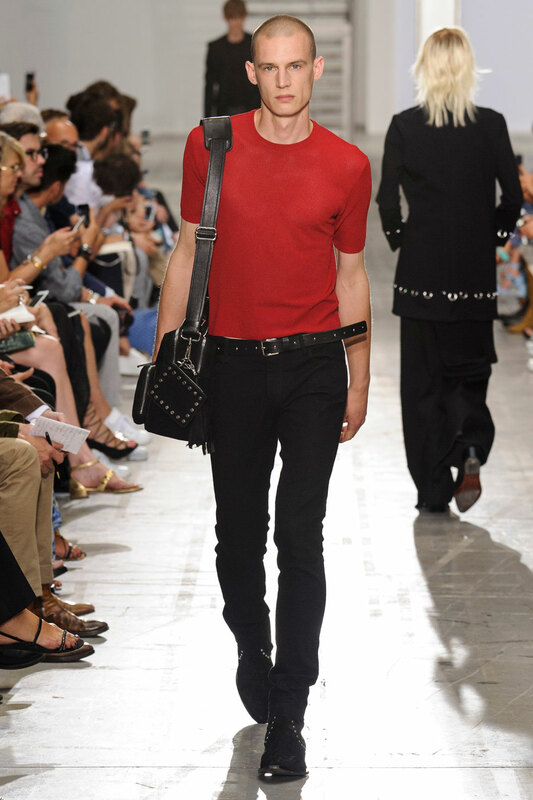 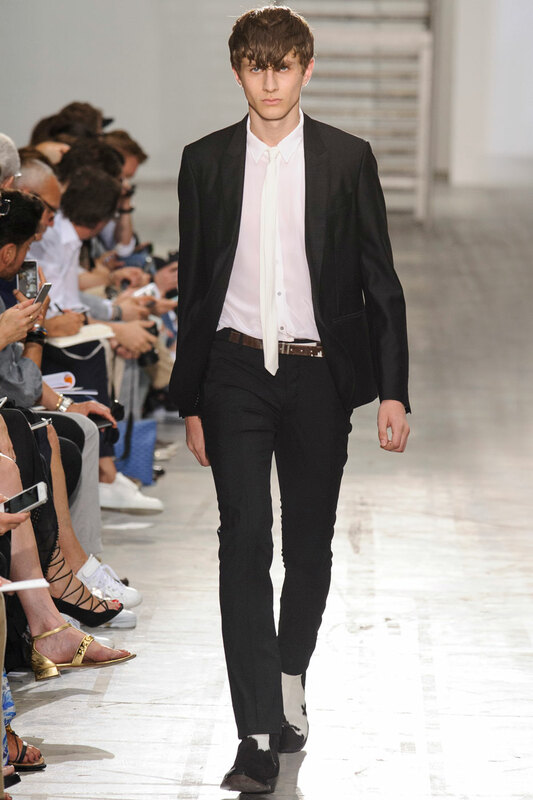 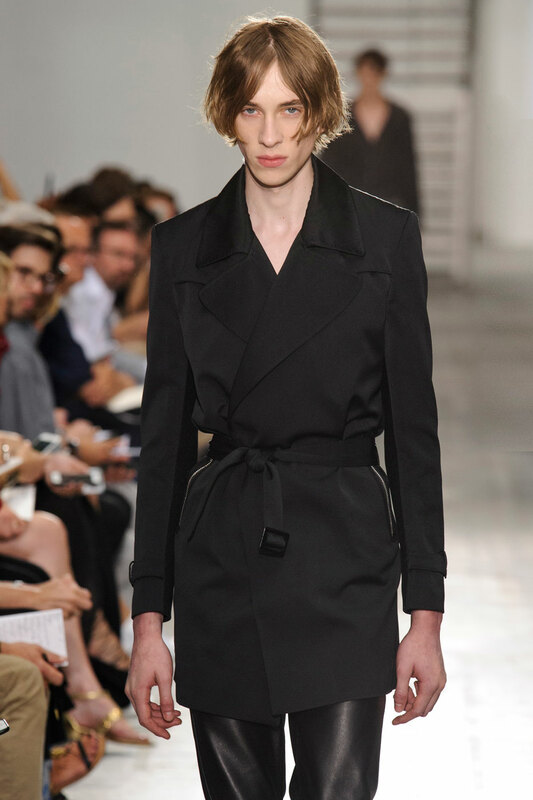 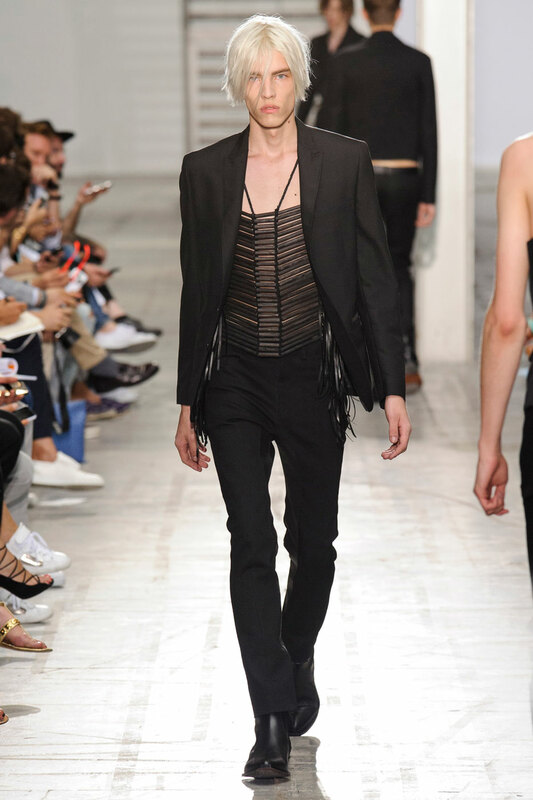 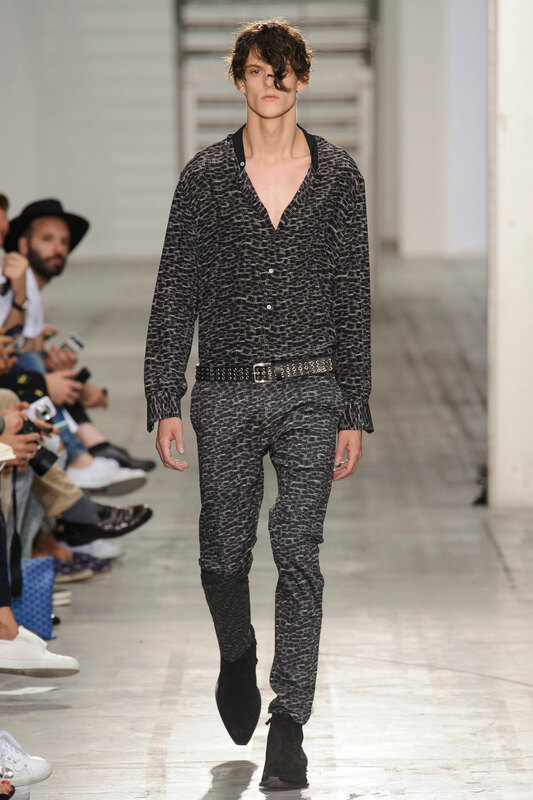 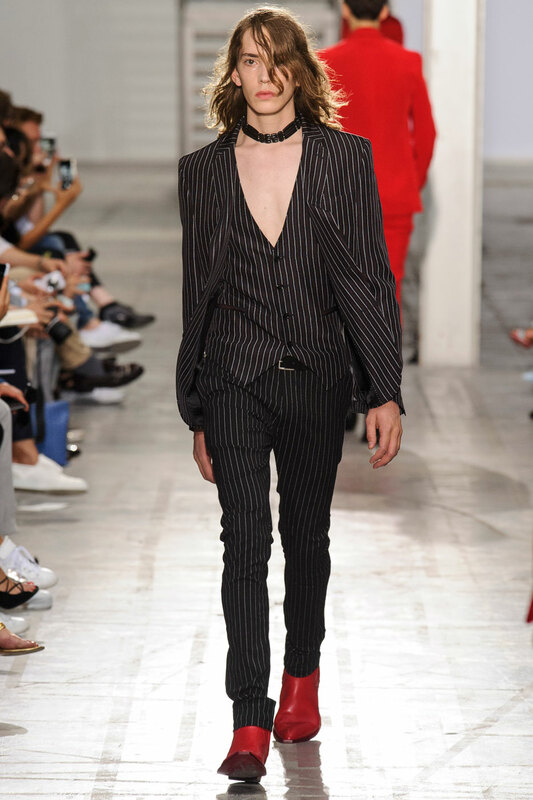 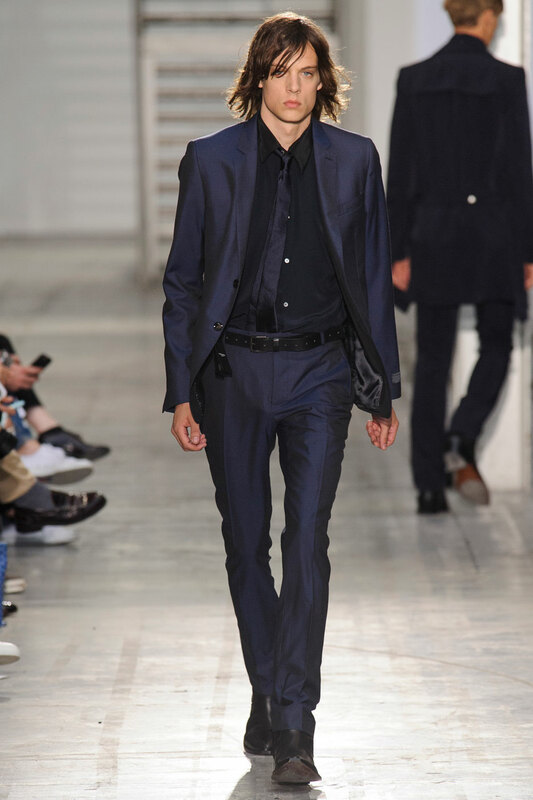 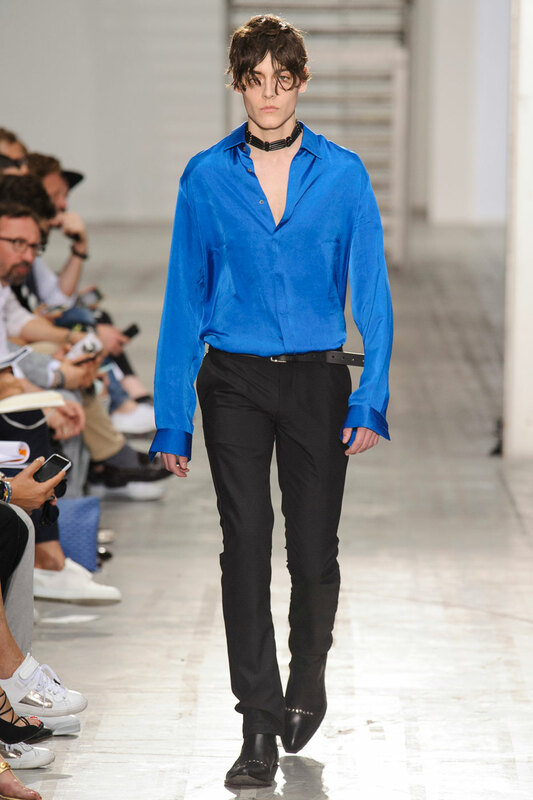 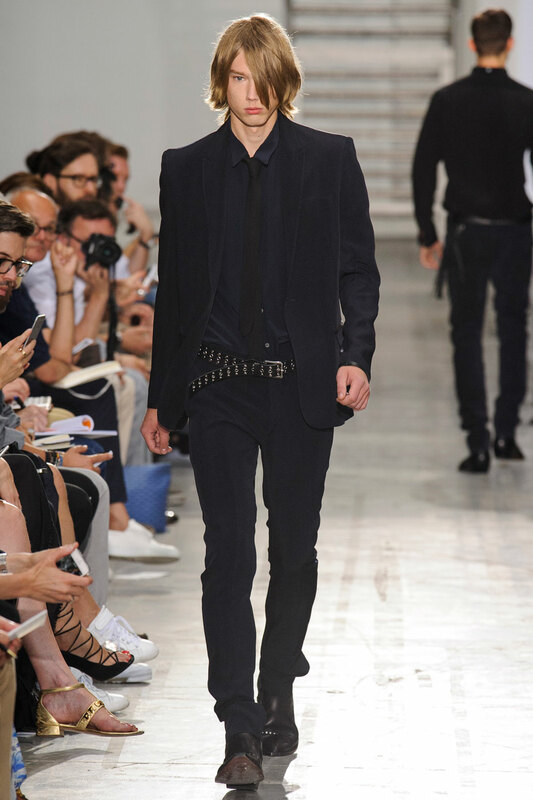 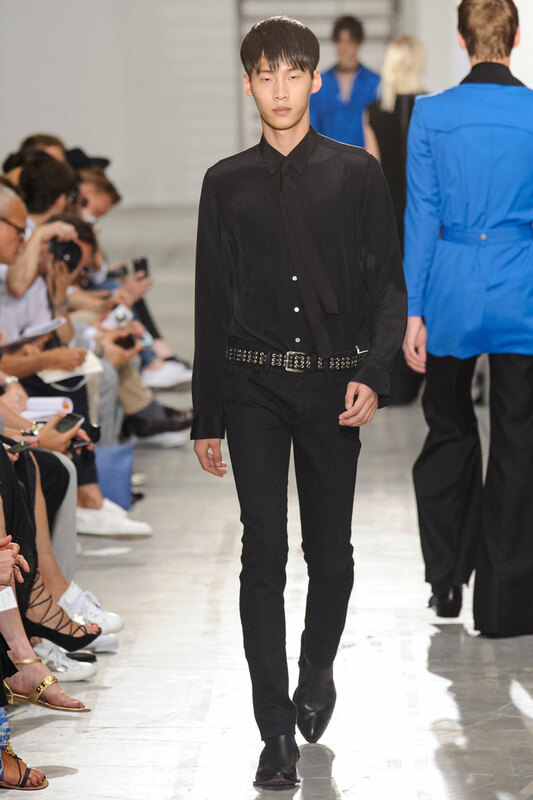 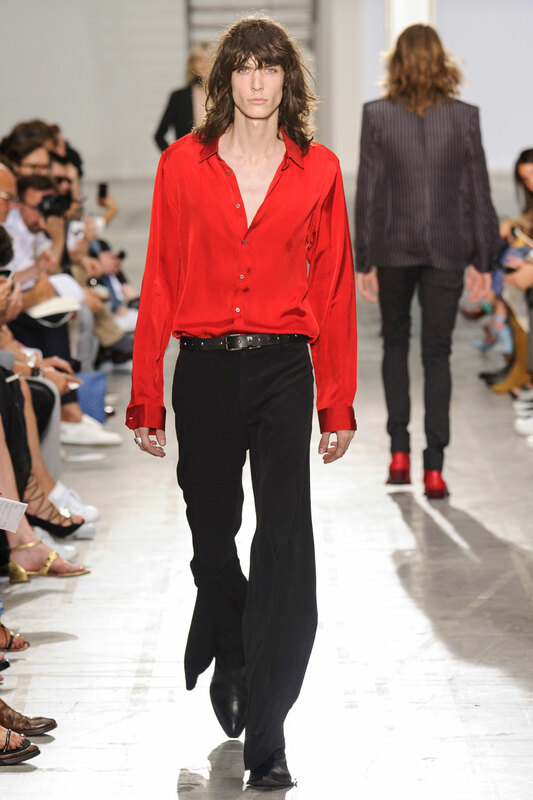 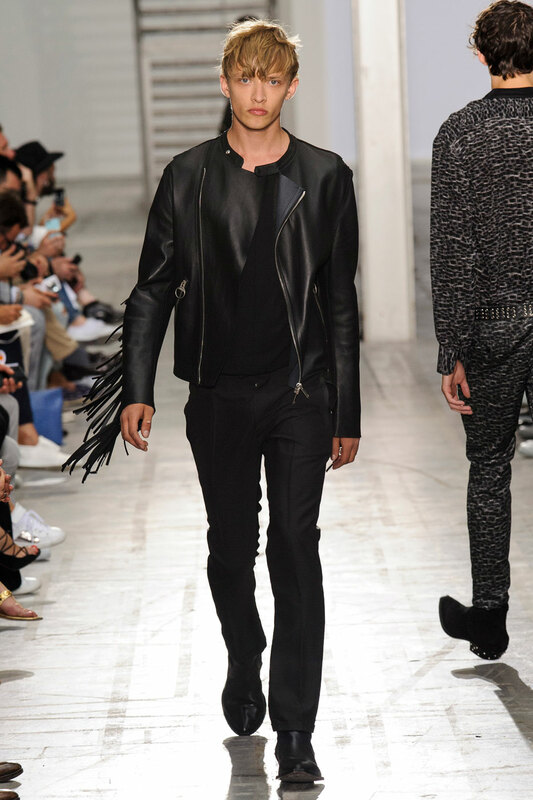 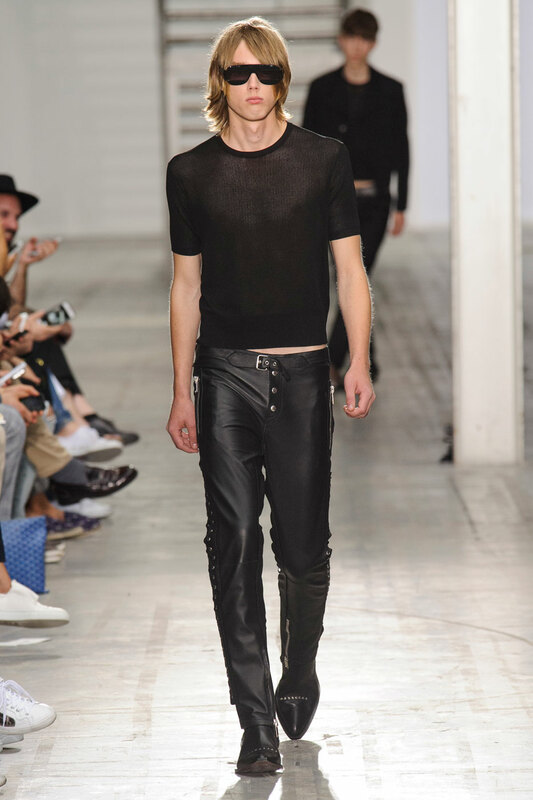 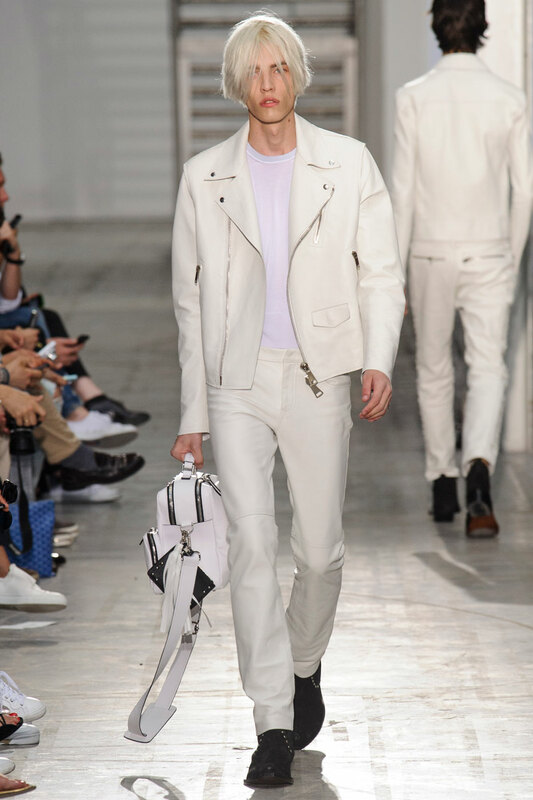 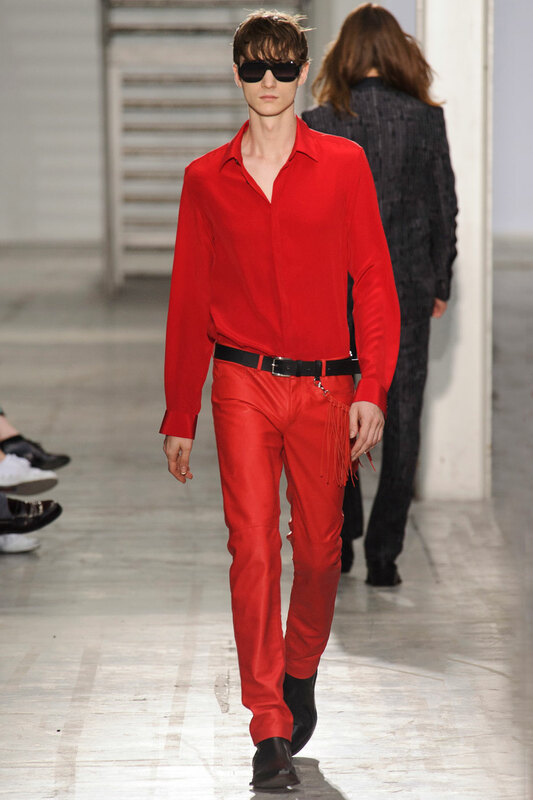 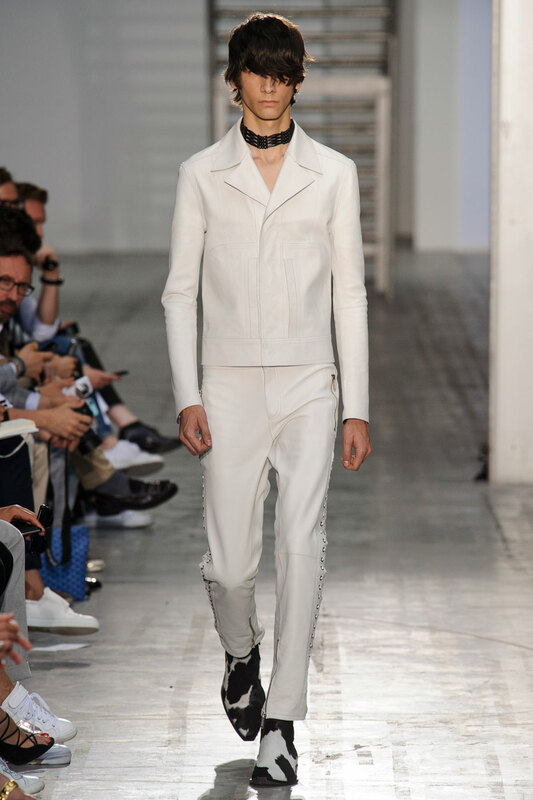 Costume National Homme Spring-Summer 2016 – Review to follow shortly! 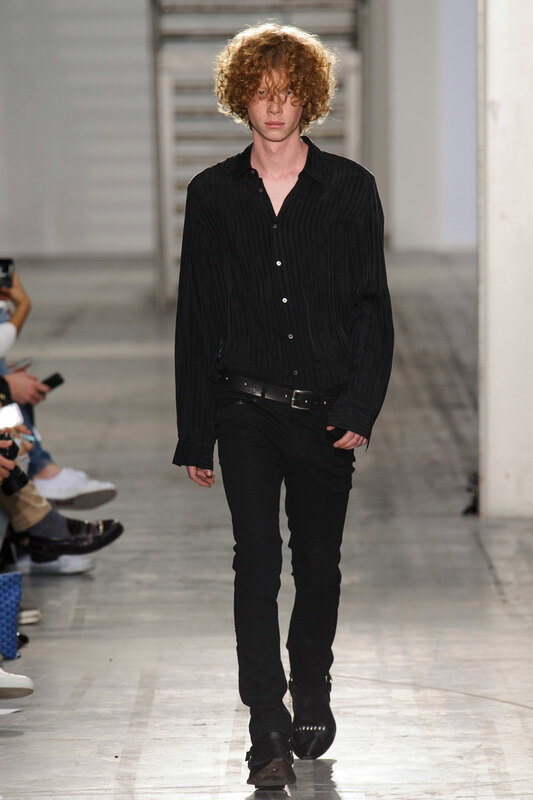 An antidisestablishmentarianism collection , the moody black palate shows that rebellion is on the cards here in Milan. 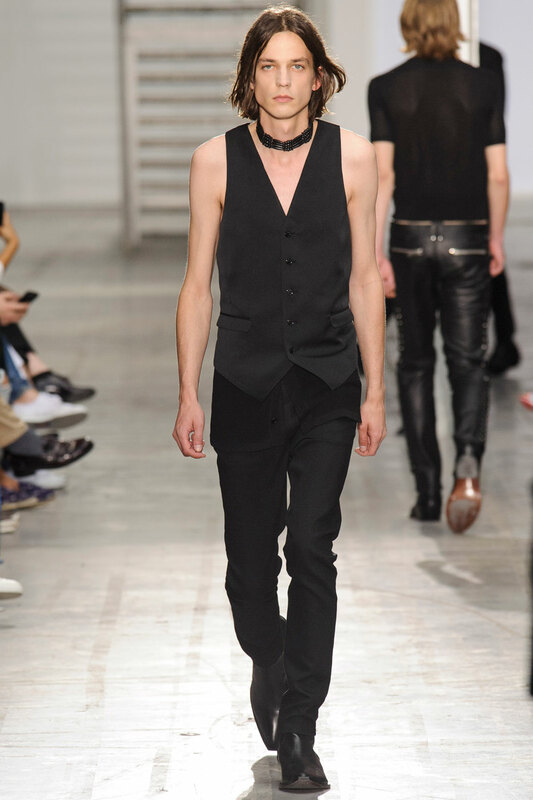 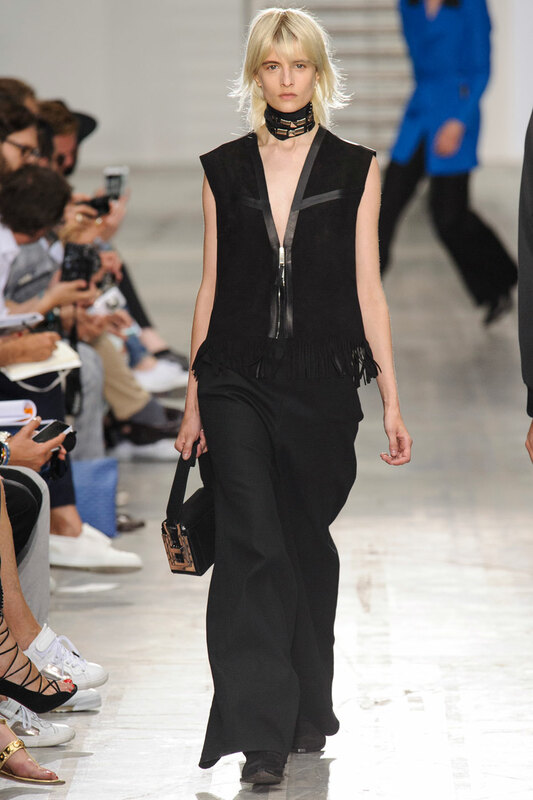 Styling is androgynous with feminine waistcoats and leather trousers , refusing to conform to one gendered identity. 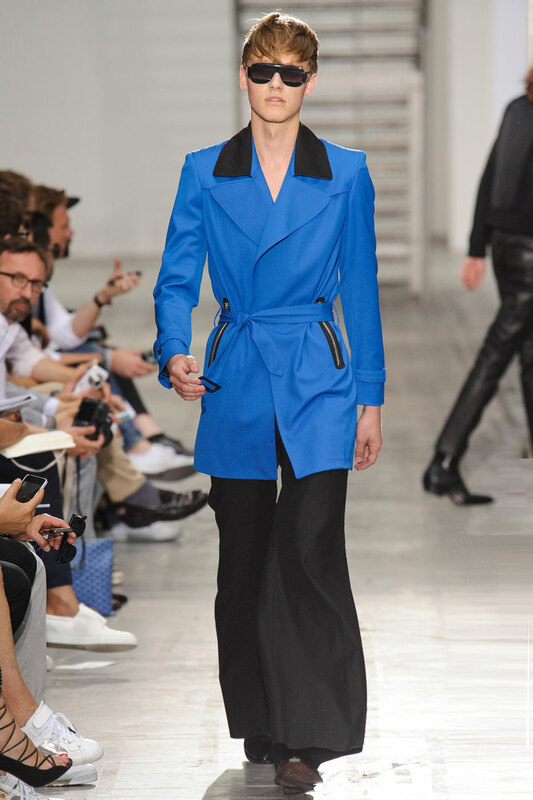 Gender fluid, the collection is impossibly cool, favoring simple tailored cut trousers with functional zip details to offer more value for your money. 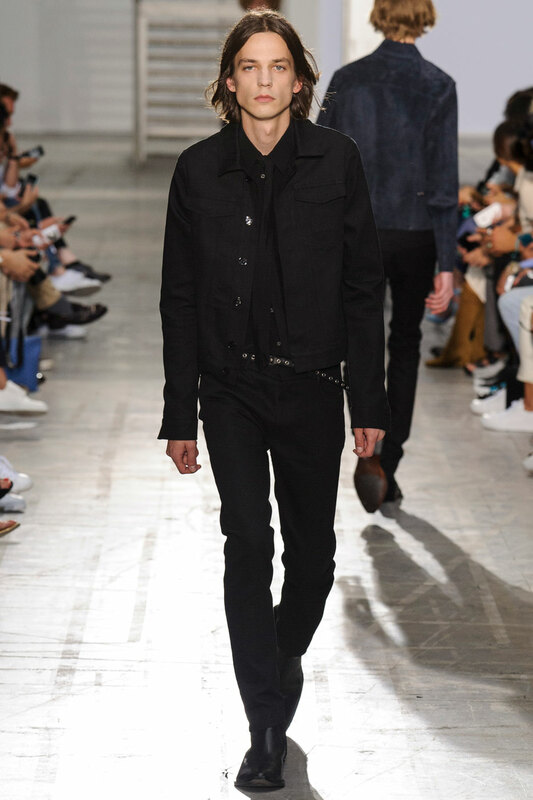 Costume National Homme is fashion forward in-cooperating select pieces that would appear to a wider target audience that other menswear brands may not approach. 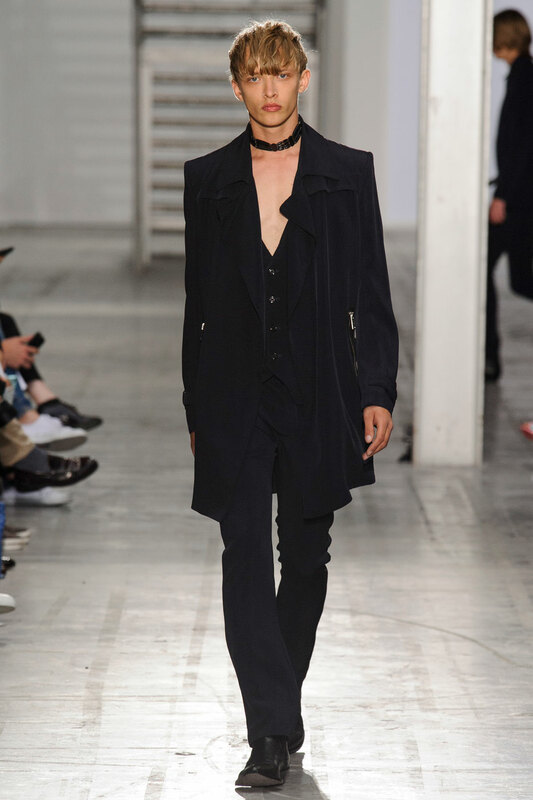 The feminine yet masculine approach to creating a collection is synonymous with its iconic aesthetic ‘ an avant garde yet street couture’ inspired clothing line that gives a stylistic voice to those who challenge the social norm. 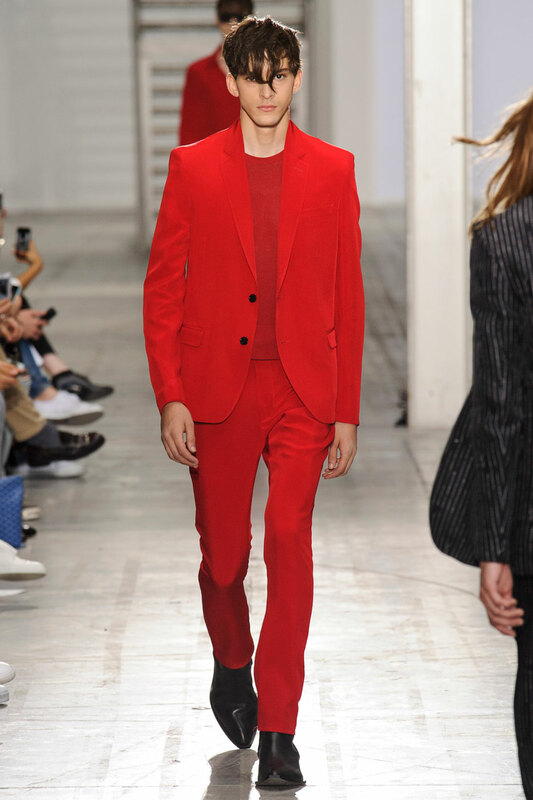 Although the palate is predominantly neutral , there are a few stand-out pieces that accentuate the heterogeneity of the brand. 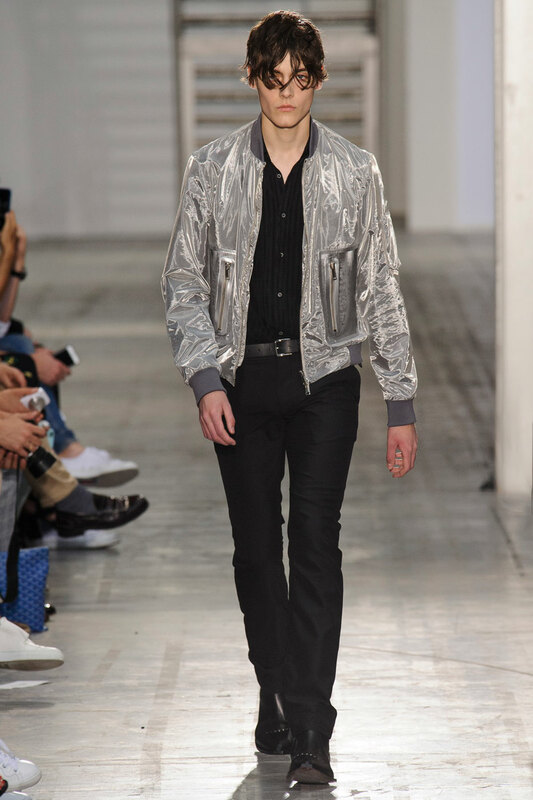 These include a metallic silver bomber and an aqua short trench coat that can be worn night and day.